Chetna has worked with individuals and businesses internationally to help people understand the workings of their mind in order to optimise their performance, wellbeing and leadership. 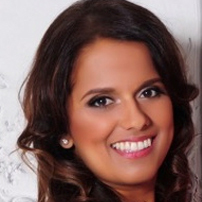 Chetna is a lawyer and a certified executive coach. She has been trained and mentored by world-class leaders in human potential. As a lawyer, she fell ill with a chronic illness. Her understanding of the mind not only aided her healing, but enabled her to thrive in spite of her illness. She is committed to transforming the wellbeing of lawyers and this inspired her to co-found Being Lawyers. At WEF, Chetna will be pointing to a new paradigm. There are no tools or techniques and the simple nature of it can belie its depth. You will walk away knowing how to access your inner potential in a natural and effortless way in order to achieve extraordinary results.